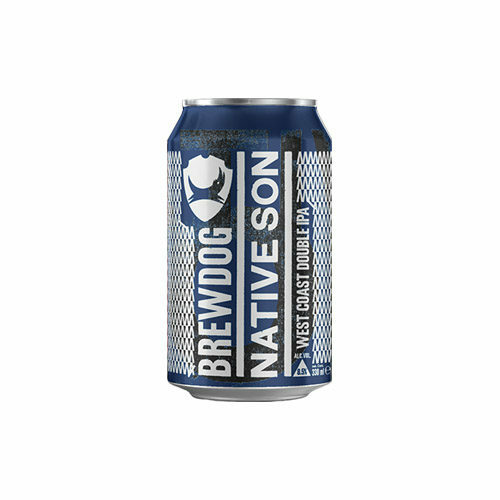 Our latest Amplified beer, Native Son is now in our core range and is now fully available. The brainchild of our Head of Production Jason Pond, and one of his first two recipes after joining the good ship BrewDog, it is one of the truest representations of a classic American IPA that we’ve brewed to date. Dry-hopped with Citra, Mosaic, Simcoe and Centennial, it has a superb combination of tropical and citrus fruit, with huge fresh grassy notes, and a big savoury smack of dank hop. Native Son clocks in at double IPA strength, but has effortless drinkability, with crystal malt providing light complexity and a shred of sweetness – no big chewy toffee notes. Bittered with Columbus and Chinook, there’s a driving bassline of pine; both sticky resin and cut wood – a building presence that melds beautifully with the green hop notes.